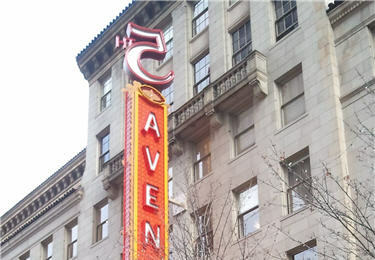 The 5th Avenue theatre was built in 1926 and it fell on hard times in the 70's and was almost torn down! But Seattle's civic leaders stood up and saved it with a big restoration in 1980. The 5th is now alive and thriving as a premier destination for touring Broadway shows and special performances.